Looking for a hair refresh? South Carolina’s hair salons have you covered! From cuts to colors, a little change in your hairstyle can go a long way in making you feel and look amazing. Hair styling is a true art and requires the skilled hands of a top-notch professional that can help you achieve your dream look while also keeping your hair healthy. Feel like a whole new you after a trip to one of these 10 best hair salons in South Carolina. This award-winning salon isn’t your traditional hair care place. Stylish, trendy, and upbeat, getting your hair done has never been so much fun. Funky digs, expert knowledge, and high-quality products ensure you get nothing short of an exceptional experience. Whatever style you’re craving, a trip here is on par with the salons in NYC. Designed to inspire, the salon itself is fresh, modern, and Instagram worthy. You get the total package, from cuts and colors to blowouts, make up services, and a fully loaded Dry Bar that makes every day feel special. Despite the name, being blonde isn’t a prerequisite to get an amazing makeover here. They assembled a full suite of stylists and services that make it easy to get an appointment when you need one and walk out looking your best. The atmosphere is always warm and welcoming, making you feel right at home. Combining relaxation with quality hair care, you’ll feel like you just left the spa. This is THE place to go for everything hair care, including Keratin treatments, blowouts, botanical treatments, and hair extensions. You can also combine your hair makeover with a facial or other beauty service and experience the total package. Their results aren’t a mirage—you really will look amazing after your visit. They’re well known in town as being the Balayage specialists, but they’re also equally skilled in edgy cuts, Brazilian blowouts, and some of the best names in hair products in existence. They’ve got also a stocked blow dry bar, where you can “subscribe” to monthly blowout specials and switch up your look as often as you like. Feel Gore-geous at your next hair appointment! 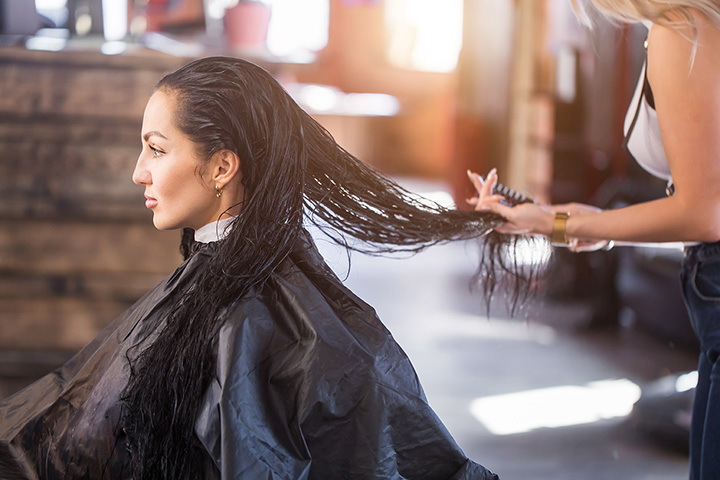 From top names in hair care to new client discounts and special offers, you’ll easily make this place your go-to salon. They don’t just transform your hair—they do in-depth hair consultations to help you reach your goals, maintain your hair after you leave the salon, and keep your hair healthy. You’ve never experienced a salon atmosphere quite like this one before. You’ve got your pick of a whole team of talented hair experts that have been hand-selected and their talents carefully vetted. They work with you one on one to help you achieve the lush locks you deserveand offer complimentary wine while you wait. This organic salon focuses on hair products and services that don’t just make you look good—they’re also good for you. They offer a full experience, from hair to facials to waxing and more. Prices are reasonable for every budget, so you can get the look you want without spending a fortune. Affordability meets high-quality in this professional salon. Fun for the whole family, they offer all hair care services and products in a single location so you never have to make a trip elsewhere. Fans love them because they can fix every hair problem and always have an answer to hair questions. Nestled in Cola’s historic district, this cozy little salon will make you feel right at home. Folks love coming to this salon because of the abundance of local art everywhere you turn and a classical charm that belongs in another era. From hair and scalp treatments to basic colors and cuts, you’ll find everything you need here.